As reported by Breaking Defense last year, Department of Defense Chief Information Officer Terry Halvorsen said the Pentagon will be investigating requirements and ramifications of declaring EMS a domain. 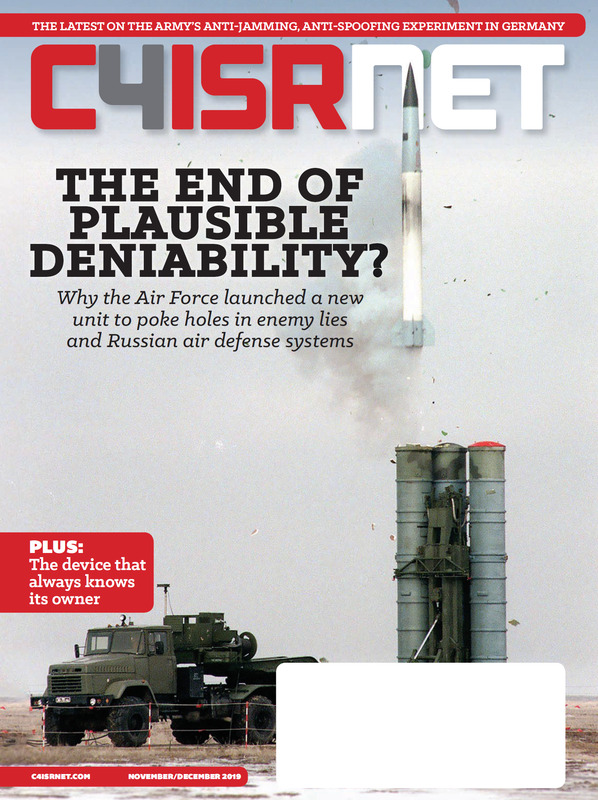 In April, Air Force Maj. Gen. Sandra Finan, who at the time was serving as deputy CIO for C4 and Information Infrastructure and Capabilities at the DoD, said: "I think that spectrum operations are so important that we ought to look at declaring the electromagnetic spectrum a domain because we are going to be operating offensively and defensively across that domain." While the U.S. has been engaged in relatively low-intensity conflict in recent years, Thomas Taylor, the CIO of spectrum policy and international engagement in the Office of the Secretary of Defense, told an audience at the Association of Old Crows (AOC) annual symposium in Washington on Tuesday that the U.S. and its capabilities have been studied for nearly 20 years by near peers. The Pentagon has officially acknowledged EMS as a maneuver space, defined by DoDas "[e]mployment of forces in the operational area through movement in combination with fires to achieve a position of advantage in respect to the enemy," but the agency has stopped short of classifying it a domain. Taylor said that the utilization of the term domain is really up to the services and joint staff, "but if we don’t manage it like a domain we’ll never learn to win within that domain. To do that, we have to orchestrate all of our capabilities to shape the electromagnetic spectrum, shape how we’re going to fight within that electromagnetic spectrum." 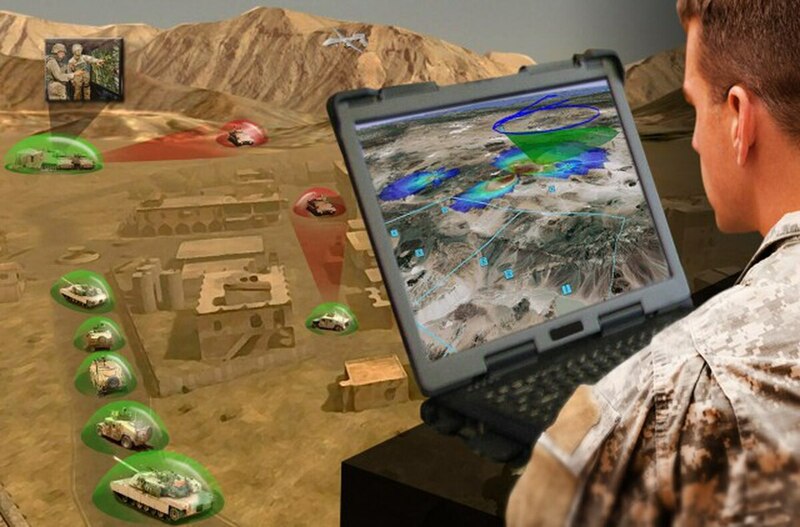 Col. Jeffery Church, chief of the strategy and policy division at the Army’s new cyber directorate, which places cyber, EMS and signal under one hat, noted that the Army is not ready to declare EMS a domain of warfare. "We published last year an Army regulation that said the Army will view the EMS as maneuver space. We’re not ready to call it a domain," he said at the AOC symposium, adding that more research needs to be done on this topic. Speaking to reporters, Church noted that just as others across the joint force say, "we’re not calling it a domain, but we’re saying even if it isn’t a domain, we need to treat it as if it were and we need to allocate resources against that spectrum." Church said that the domain discussion primarily surrounds resources. "I would say when we decide that it’s a domain as a Department of Defense … that creates some challenges because domains require resources," he said. With the other domains of warfare, Church said they all have forces, equipment and services against them. The maritime domain has the Navy, the land domain has the Army, air and space has the Air Force, and for cyberspace, the services as well as a joint sub-unified combatant command — Cyber Command — is building out cyber mission forces, Church told reporters. "So if we come up with a domain called the EMS, does that mean I need an EMS service to go get that campaign objective No. 1? When you’re at the multi-star level thinking about these things, my goodness, that’s like creating a new army air corps that turns into an air force," he continued. "Do we need to do that? I would say at some point in the future, yes, because we’re not going to become less reliant on the spectrum, we’re going to become more reliant on the spectrum. The EMS is what ties everything together. Everything DoD does relies on the spectrum. I think it gets down to resources. … Does the Army stand up an EW [electronic warfare] materiel solution and just internally reorganize our 900 folks to handle that? Do we create a new branch? How much gear do they get? Things like that." With all these resources comes sustainment and training, too. Church elaborated on some difficult discussions being had within the Army regarding the new character of war and how nontraditional, non-physical domains could affect operations and even war itself. "Can I fight and win wars with non-kinetic effects, and if I can, how many non-kinetic effects could I deliver? Would that allow me to get rid of an infantry brigade? Could I use that brigade to pay for my EW bill or my cyber bill?" he said. "I don’t know. That’s sensitive stuff within the Army, so a lot of discussion." "I think that you’ll see in the future campaign strategy [the] No. 1 objective will be to gain and maintain EMS superiority because if you don’t do that, you’re not going to gain or maintain air and space superiority" in which you won’t be able to maintain land and maritime superiority, Church said, adding that there will likely be a paradigm shift across the department that it must first gain EMS superiority.